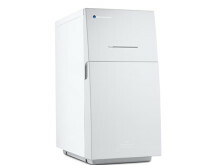 Sweden's Bluewater, which manufacturers and commercializes innovative second-generation water purifiers, successfully debuted its full range of water purifiers at the PWQA trade show in Los Angeles, California, where the education theme developed around "Doing it right" when it comes to improving water and doing better business. 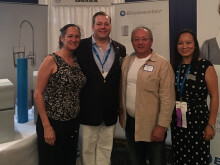 Sweden’s Bluewater water purification brand debuted at the annual Housewares Summer Show in New York City today, revealing its award winning Spirit and Pro water purifiers that have won acclaim for their sleek design and state-of-the-art contamination-removing performance. 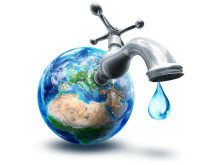 High levels of nitrates, atrazine and arsenic in drinking water linked in a new U.S. study to birth defects such as cleft palate, cleft lip and limb deficiencies underlines urgent need for more research into tap water quality around the world, says Bluewater, a global leader in residential water purifying technologies and solutions. 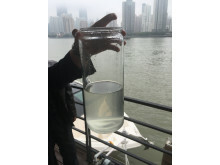 Urban Tap Water Delivery: A ticking time bomb? Bluewater, an international leader in point-of-use reverse osmosis water purification technologies and solutions, today announced it will expand its global manufacturing capacity by starting production in China at the end of this year to meet increasing demand across Asia. Bluewater will continue production at it manufacturing site in Åtvidaberg, Sweden, as sales grow in Europe and North America. 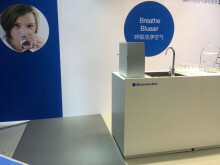 Bluewater, a world leader in point-of-use residential water purification appliances, revealed sleek new designs for its innovative Spirit and Pro residential water purifier models at the China International Industry Fair 2015 (CIIF), running November 3 – 7 in the Shanghai New International Expo Centre. More than 2,000 exhibitors and 100,000 trade professionals will visit the show. Bluewater will demonstrate its leadership role in delivering transformational point-of-use water delivery solutions for home and commercial use at the Aquatech Amsterdam 2015 trade show running November 3 – 6. 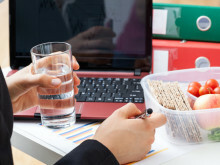 American consumers are more worried than ever about their tap drinking water and are resorting increasingly to drinking more bottled water and home filtration devices, says a new survey by the U.S. Water Quality Association, WQA. 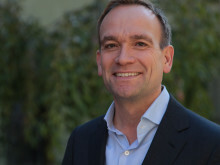 Commenting, Bluewater Managing Director Niclas Wullt says consumers globally should consider taking increased responsibility themselves for their own water safety. 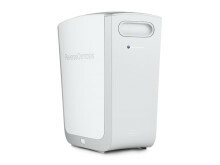 Bluewater is exhibiting three newly-designed water purifiers as part of an exhibition at Expo Milan, a non-commercial global exposition formerly known as the World's Fair. 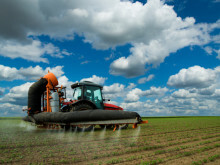 An estimated 20 million attendees from around the world will visit Italy's second-largest city between May 1 and Oct. 31, 2015, to explore collaborative solutions feeding the world. 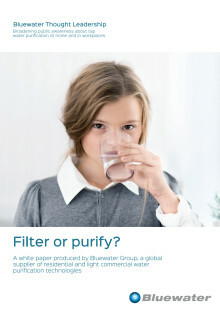 Bluewater has been awarded product certification in China for its Spirit and Pro water purifiers. 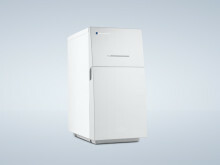 Bluewater is launching new residential and light commercial water purifiers with patented second-generation reverse osmosis in China that offer a harmonized balance of design personality, performance and price to give Chinese consumers a choice of devices enhancing health, wellness and lifestyle needs. 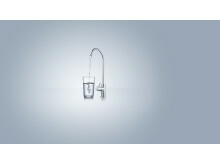 Swedish water purifying brand Bluewater, which sells its products in Europe, the USA and China, has published a new White Paper highlighting the difference between filtered tap drinking water and purified tap water. The paper is the second in a series geared to stimulate public awareness about the drinking water coming out of their taps. 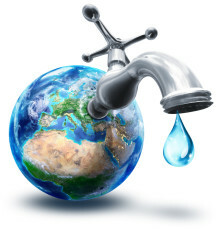 World​ faces a 40% shortfall in water in 15 years unless countries dramatically change their use of the resource, says UN. 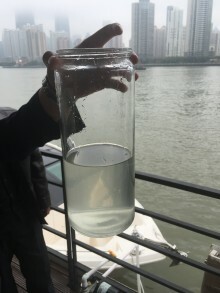 Blueair managing director Niclas Wullt gears up to taste the water in Shanghai's Huangpu River on Tuesday, 17 March, in an event launching the company's premium water purifiers to Chinese consumers and businesses such as restaurants. 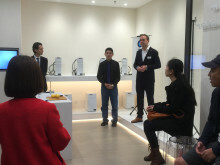 Bluewater™, a global industry leader in water purifying technologies sold in the USA, Europe and Asia, has debuted the brand’s flagship ‘Blue House’ store-in-store presence in Beijing, the Chinese capital. The Blue House is the first Bluewater flagship retail environment in Asia, which the brand will share with its air-purifying sister company, Blueair. 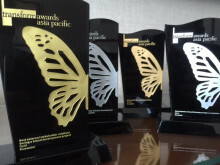 Bluewater win one gold, two silver and a bronze at the Transform Awards Asia-Pacific 2014. Bluewater's excellence in brand development and rebranding was honoured at the Transform magazine’s inaugural Asia-Pacific awards with gold, silver and bronze awards in the ‘best use of copy’, 'best external stakeholder relations’, 'best corporate rebrand’ and ‘best implementation of brand development across multiple markets’ categories. 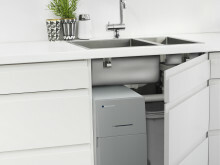 Sweden’s Bluewater, a world leading premium residential and light commercial water purification brand, has launched a comprehensive library of instructional videos to help customers maximize the performance of their appliances. La société suédoise Bluewater, leader mondial des systèmes hauts de gamme d’osmoseur pour applications résidentielles et commerciales, présente en France son produit vedette, l’osmoseur Pro. 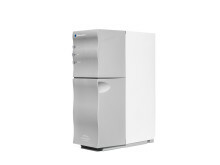 Sweden’s Bluewater, world leader in premium residential and light commercial water purifying systems, has unveiled its flagship Pro water purifier in France for the first time. The Bluewater Pro offers professionals in the catering, restaurant, hotel, medical and other industries breakthrough performance in delivering on-demand water cleansed of most known pollutants. Sweden’s residential water purification brand Bluewater™ has been shortlisted for four prestigious Transform Awards Asia Pacific prizes for its successful launch of its brand and products across multiple markets in Europe, North American and Asia. The one-day UN Climate Change Summit in New York, the largest of its kind since the 2009 meeting in Copenhagen, has ended with a general consensus from government leaders to commit to action on tacking the impact of global warming. But Sweden's international Bluewater™ water purifying company says there is an urgent need to put increasing contamination of tap water on the climate change agenda.